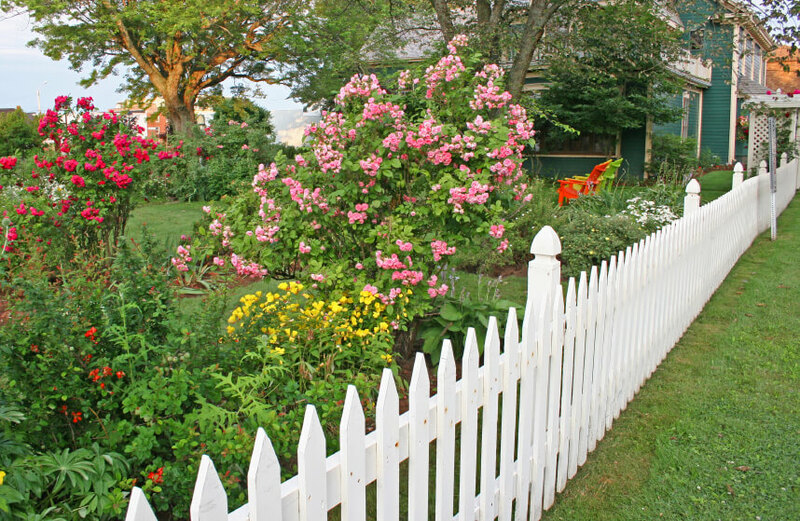 If a bush is planted beside the house, the owner will need to take its mature growth into account. The shrub shouldn't touch the wall when it’s full grown, and the center of the bush should be well beyond the edge of the eave. This will make sure that the plant gets plenty of water when it rains. The owner should also take the ultimate size of the shrub into account when first planting them. If a particular type of bush is being planted as a hedge or a border, the spaces between the young plants can look empty till they fill out. In the meantime, the areas can be filled in by perennials or annuals. Even if the shrub produces gorgeous blooms, the owner should steer clear of shrubs notorious for diseases and insect problems. The owner should ask a master gardener at the local garden center which bushes are the most disease resistant. Once the owner has decided on flowering shrubs for his or her landscape, he or she can have fun mixing in the different shrubs with other plants and flowers to create a beautiful and harmonious area in the garden. For example, hot pink azaleas would look good with an under-planting of bright, medium green ostrich ferns, feathery, cream-colored astilbe and purple and white irises. White, red, pink and yellow peonies might look good with blue hydrangea and an under-planting of a prostrate purple phlox.